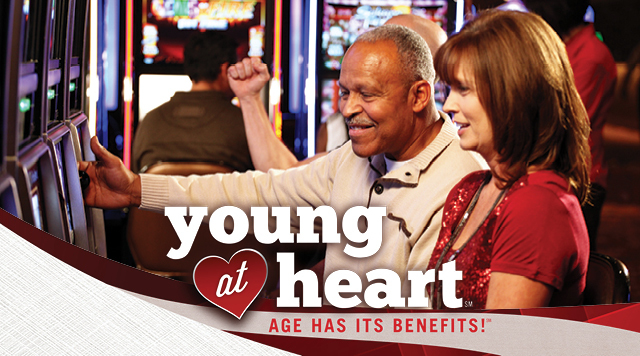 Young at Heart Drawing, 5 winners get $100 each! One (1) Free Drawing entry, plus Play & Get great offers! Unlimited 11X Point Multipliers! ** On all your favorite games! Young at Heart Day is for B Connected members 50 years and older. *Participants must be B Connected members and must be at least fifty (50) years of age for all portions of this promotion. *Drawings are at the following participating properties: California, Fremont, Main Street Station. **Bonus point multipliers for Sapphire Tiers and above. See B Connected for complete details.